In the second Pushing Boundaries feature piece, Producer Macon Reed presents this sound collage of Pendulum Aerial Arts with artistic director Suzanne Kenney. 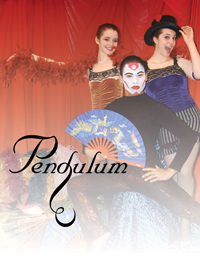 Founded in 2000, Pendulum’s innovative performances blend dance, drama, and storytelling with a circus flair. This group pushes the boundaries of dance and circus art with original work that defies gravity. Pendulum is both a performance company and a school. The company is made up of a core members, guest artists, and apprentices whose work crosses a variety of styles, from vaudeville to contemporary. ‘They have several shows in April including hands-on at their Second Annual Community Day and Student Showcase on Sunday April 17. 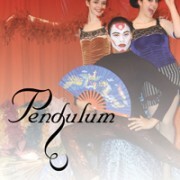 Pendulum presents a full show, “In the Studio”, on Saturday April 22 and 23. It features new works by company members. Both events are at the French American International School. Learn more at the Pendulum website. Pushing Boundaries is a year-long project that explores artists and arts groups pushing physical, emotional and artistic boundaries in their work and it’s made possible with funding by the Regional Arts and Culture Council. 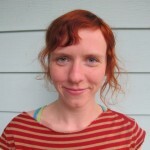 Macon Reed is a graduate of the Salt Institute for Documentary Studies, where she studied radio documentary production. She recently came back to Oregon after traveling throughout the country with her students as a documentary instructor at the Brown Ledge Gap Year Program.